Last weeks "BORDER" theme was interesting. I actually had a few preconceived ideas in my head for my photo but I wasn't sure which direction I would go in. I thought this was fitting though, since we are in the process of redecorating our home, still, since we moved in 18 months ago. We have removed wallpaper, ripped up rose colored carpet, thrown away billowing custom floral drapes and other such decor left over from the previous owner. We are still a far way off from having everything the way we like it, but we're making progress!! 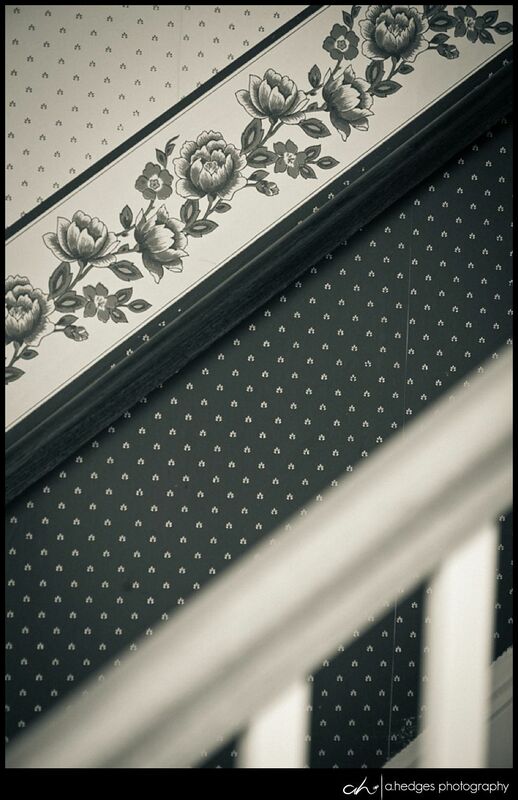 Here's a shot of some of the wall paper (with boarder) that we have been dealing with. I have to look at that hideousness every single time I use the stairs. Ugh!! I'm picking an obvious one for this week folks. Take photos of your Thanksgiving, of your family, of your memories- that's your homework!! I want to see those Thanksgiving photos! !